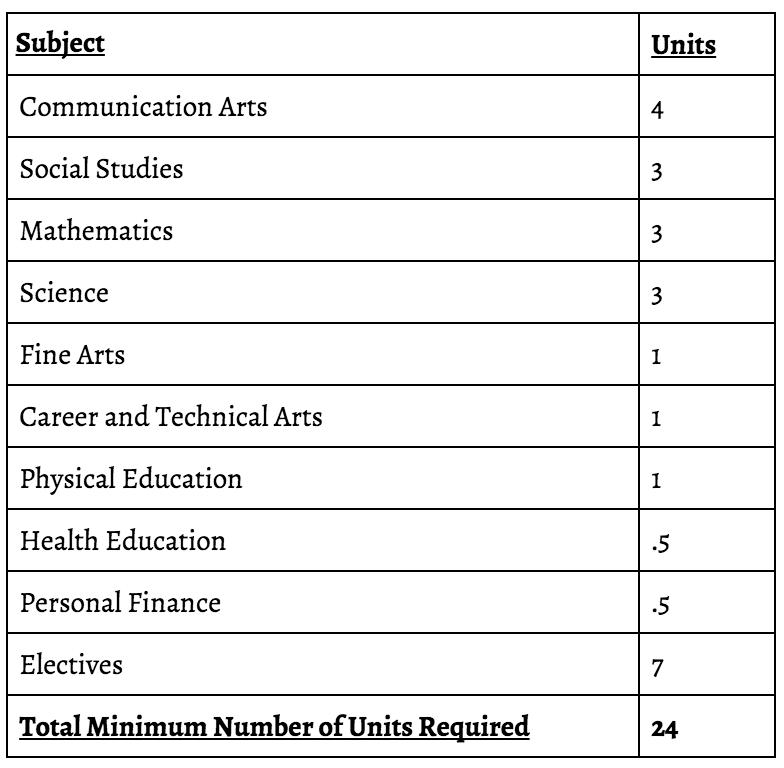 A minimum of twenty-four units of credit is the requirement for a diploma from the Academy of St. Louis High School. ASTL ensures that all students meet state requirements regarding credit hours for graduation. Therefore, if a student is unable to complete the twenty-four units of credit, the student may graduate with a certificate of completion with accommodations stated. Please see the ASTL Curriculum Guide for more information on the classes we offer and breakdown of each subject. Student transcripts are recorded by the administration at the end of each semester. The administrator must supervise the curriculum so that students are capable of reaching the credit goal by the end of their senior year. Please see the ASTL Curriculum Guide for more information on the classes we offer and breakdown of each subject. Also, see below for graduation allowances made for students with disabilities. Students with disabilities will receive grades and have credit transcripted in the same manner as all other students when they complete the same courses as other students. Students with disabilities who complete regular courses modified as indicated in their IEPs will receive grades and have credit transcripted in the same manner as students who complete the courses without modification. The fact that the courses were modified may be noted on the transcript. Students with disabilities who meet the goals and objectives of their IEPs, as measured by the evaluation procedures and criteria specified in the IEPs, will have credit transcripted in accordance with the state definition of units of credit. ASTL Students with disabilities who meet state and local graduation credit requirements by taking and passing regular courses, taking and passing regular courses with modification, taking and passing modified classes, or successfully achieving IEP goals and objectives shall be graduated and receive regular high school diplomas. Students with disabilities who reach age 21, or otherwise terminate their education, and who have met the district’s attendance requirements but who have not completed the requirements for graduation, receive a certificate of attendance. For more information about guidelines, see our parent-student handbook.